I have a problem with this kind of posts. I really struggle with favourites because when I like a product I tend to stick to it, although I always love trying new ones. However, there is a small selection of things that I have been loving recently. Some of them are Christmas presents, which makes me realise that I should try and buy more stuff and write these posts more frequently. In fact, my last favourites post was published in July… that’s so bad. I definitely need to change that so I promise I’ll share my favourites more frequently so that you can also know what I like and actually know me a bit better. I love Harry Potter and I could consider myself a Potterhead, as I am a big fan. When Fantastic Beasts was announced I was really excited because I knew it would be really good. I was right, even though I would never say it is better or as good as the Harry Potter films because it just isn’t. You may be wondering why I include it in my January favourites if the film came out in November. The thing is that one of my Christmas presents was the screenplay of the film, and well, it reminded me of the film (obviously) so I decided to share with you my love for it. I know I have already talked about this products here, but I just love them so much. This is obviously not sponsored by the way. You should check them out and start using such products because I think they really improve our hygiene, which is something quite important. Also, as I said in that post, you feel a lot more comfortable because your intimate parts are not sweaty, which is great when you do sport. Trust me, you won’t regret it. This was actually another Christmas present. I had seen it quite a few times before, but I had never smelt it. 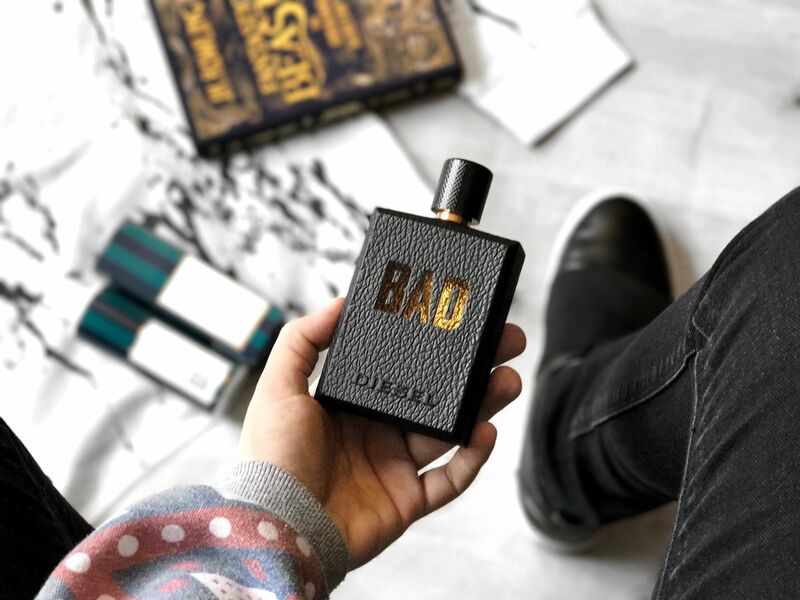 I must say it is the kind of fragrance that I personally love because the scent is light enough but also quite masculine. I hate it when perfumes are too woody because it tends to make me sneeze (I don’t know if this is something normal or I am weird, which could easily be). I also love the packaging, as it is textured and has some details in gold. I’m not a big fan of gold, but I feel like it looks great in the bottle. You should smell it and let me know what you think of it too. I don’t know if you know already, but I love marble. One day I went shopping and I found this beauty at H&M. I don’t normally buy clothes there because I tend to not like them, but I couldn’t resist to this jumper, which surprised me a little bit. The fact that it is marble is not the only thing I liked about it, its texture is also something that caught my attention. It is weird because it is formed by some kind of knots (which are not knots) and it is elastic but a bit oversized at the same time. I can’t describe it properly, sorry, it is something you’d need to experience for yourselves. It was not very expensive, as it cost me 24.99€. You can find it here. What do you think about my favourites? 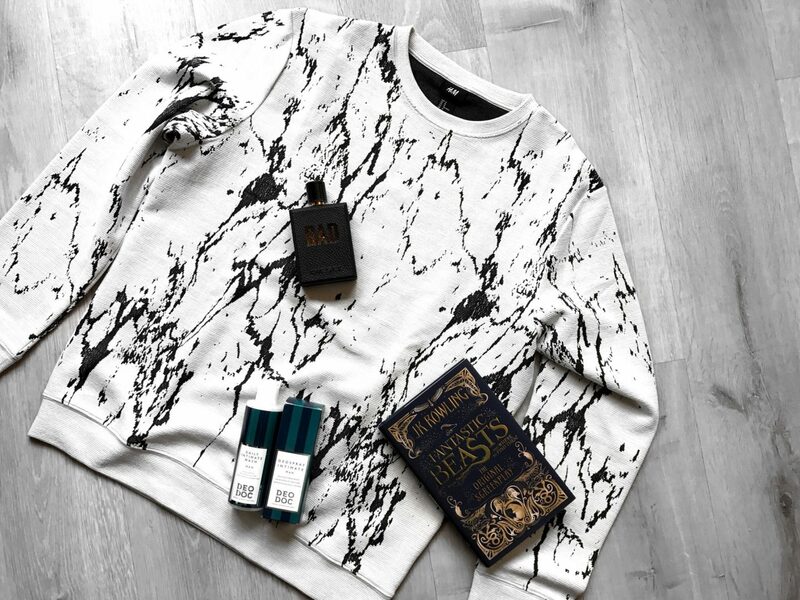 If I had to choose one of them, even though it would be very difficult, I would probably choose the marble sweatshirt mainly because I love marble (I’m so addicted to it). As I said at the beginning of the post, I am going to write these posts more often. I don’t want it to be a monthly thing because that would be pointless, as it is such a short period of time that I would not be able to share new favourites with you. However, I’ll do it like every two months or so (or at least I am going to try haha). Let me know in the comments down below which are your January/winter favourites so that I can also discover new things that may eventually become my favourites too. The jumper and skincare look super cool and I can’t wait to read that book. Anything by JK Rowling is a must for me. As a fellow potterhead I NEED to get my hands on this book! And this jumper looks so great! Love your posts man. Keep them coming!